This post has already been read 1308 times! KEARNEY – The tattoo on Jason Baker’s right forearm represents both his past and his future. He got it about three years ago while waiting out a snowstorm in Cheyenne, Wyoming, where a former high school classmate happened to run a tattoo shop. The image – an eagle, American flag and shield outlined in black ink – symbolizes the 11 years Baker dedicated to his country through military service and his continued commitment to organizations fighting for veterans’ rights. It also represents what he will become as the 35-year-old navigates life as a student at the University of Nebraska at Kearney. Baker was a 23-year-old with an associate degree in building construction when he decided to enlist in the U.S. Army. It was a way to venture from his hometown of North Platte, explore the world and potentially pursue a lengthy career. The benefits were also pretty attractive for a recently married man. “That’s what really drew me in,” Baker said. 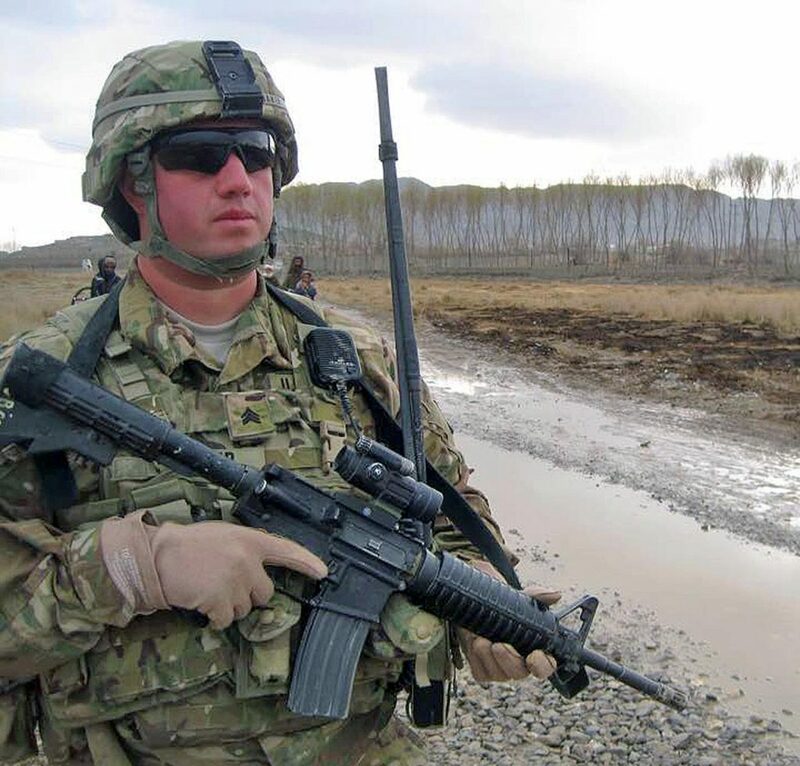 After basic training in Fort Knox, Kentucky, Baker was stationed in Germany as part of an armored tank division, then deployed to Iraq in 2008 during Operation Iraqi Freedom. 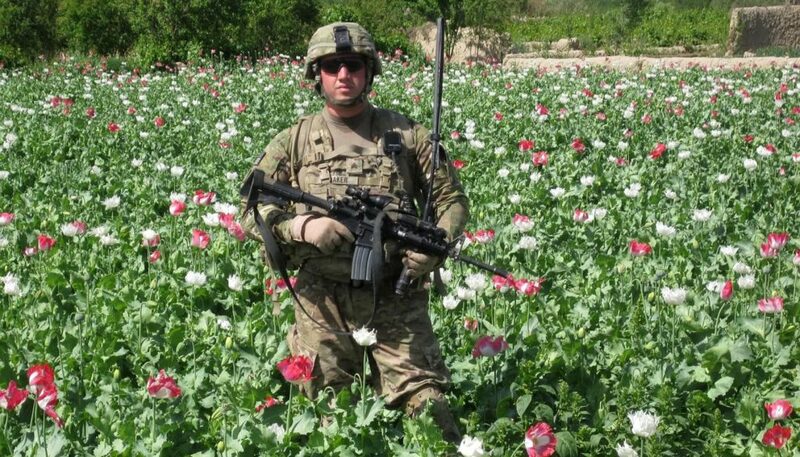 He spent 15 months in the Middle Eastern country conducting regular patrols of an area along the Tigris River just east of Baghdad and providing security for U.S. Department of Agriculture representatives working with local farmers and ranchers. “It was more of a presence thing. The more Americans we had out there, the less insurgents were in the area,” he said. The Army’s M1 Abrams tanks may have been an intimidating sight, but there was still plenty of combat. Opposing forces often took potshots at the massive vehicles, firing a few rounds before fleeing, and roadside bombs targeted the tanks and Humvees. 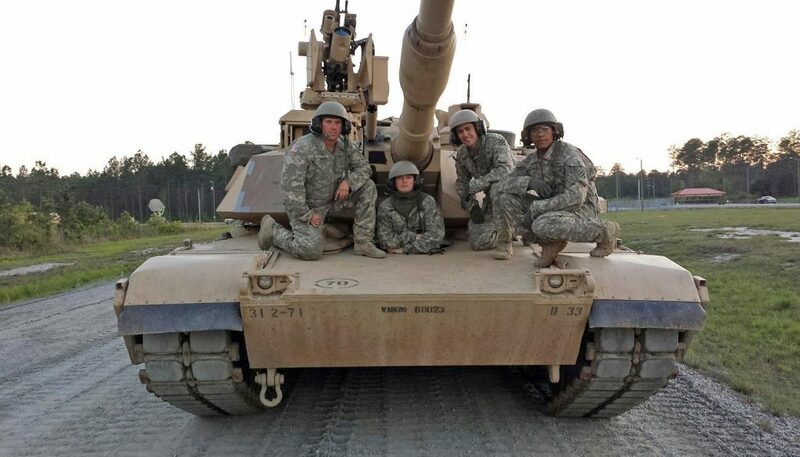 “In those combat situations, you really separate the people who want to be there and know what they’re doing,” said Baker, who was promoted to tank commander and reached the rank of sergeant within three years of his enlistment. 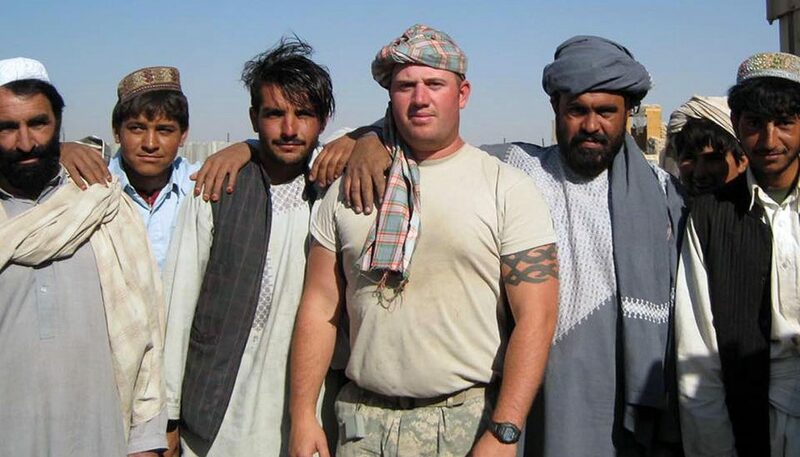 After returning to the U.S., Baker was stationed in Fort Carson, Colorado, before his next overseas deployment – this time to Afghanistan in 2010. That war, he said, was like night and day compared to Iraq. The rugged, mountainous terrain in Afghanistan forced the U.S. troops to leave their tanks at home and instead serve as infantry. “We trained all of our careers to be on a track, and we were really proficient at it, then all of the sudden we had about a month to figure out how to transition from being mounted and using all our weapons systems to being on foot,” Baker said. The area along the Arghandab River Valley, near the Pakistan border in southern Afghanistan, saw some of the war’s fiercest fighting. Kandahar was a key city for the Taliban, who utilized the nearby river to ship guns, explosives and supplies. “Our objective was to go out there and stop them,” said Baker. But it was difficult to distinguish civilians from the insurgents using improvised explosive devices (IEDs), machine guns, rocket-propelled grenades and mortars to fight the U.S. forces. The Taliban booby-trapped dirt walls that divided properties and buried countless land mines. “Those first three months were really kind of a trying time to figure out what we needed to do and the best way to go about doing it,” said Baker, who spent a year in Afghanistan. Although he escaped serious injury, the experience took a toll on Baker’s body. He hurt his right shoulder when a wall he was climbing collapsed, his knees and back suffered under the weight of 80 pounds of equipment hauled around in the sweltering heat and close-range explosions diminished his hearing. Baker was honorably discharged in November 2014 with a 70 percent disability rating from the U.S. Department of Veterans Affairs. 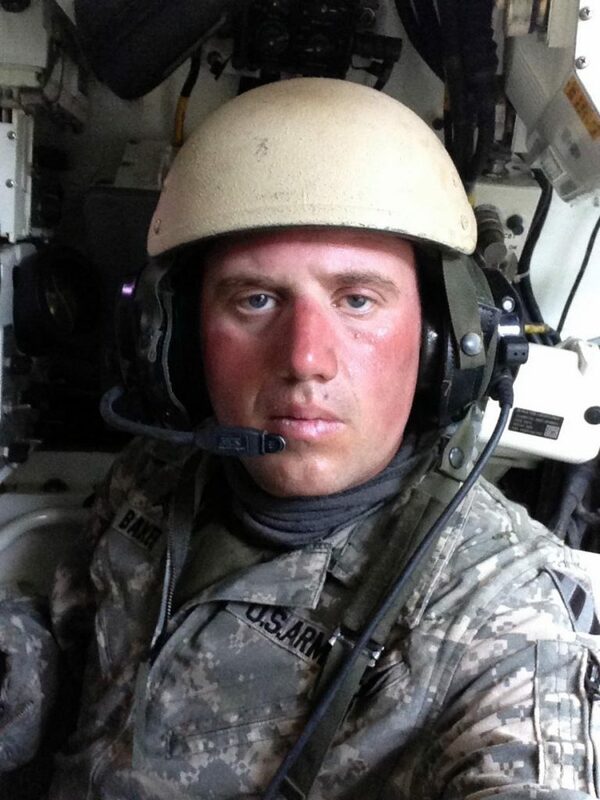 Still wanting to serve his country, he spent another three years with a Nebraska Army National Guard transportation company before home life with two young children and other commitments became too hectic. Baker always knew he wanted to pursue a four-year degree, and his benefits through the Post-9/11 GI Bill presented the perfect opportunity. He was considering a couple of schools and sought input from people he knew who attended UNK. “I never heard one bad thing about UNK,” said Baker, who attended a Transfer Day hosted by the Admissions Office in April and was immediately hooked. “I got here and I knew this is the place where I wanted to go,” he said. He enrolled in classes that day. As a nontraditional student, Baker prefers the smaller class sizes and one-on-one interactions with professors. He also worked with David Brandt in the Disability Services for Students Office to develop a plan that meets his educational needs, such as sitting at the front of classrooms so it’s easier to hear professors and having the freedom to stand up for a quick stretch during longer lectures. “The transition has been great,” said Baker, who started classes in August and hasn’t declared a major yet. “I’m looking at all the different options to see if one fits what I’m looking for,” he said. Baker and his family – wife Megan, 11-year-old son Haydn and 8-year-old son Ian – live in Village Flats, an apartment-style residence hall that opened last summer and serves upperclassmen, graduate and nontraditional students, families and faculty. Megan works for the Nebraska Department of Health and Human Services in Lexington and he has a harvesttime position at a KAAPA Ethanol grain facility in Elm Creek, along with his UNK coursework and chauffeur duties for the kids. “Right now, we have a really good system going,” Baker said. 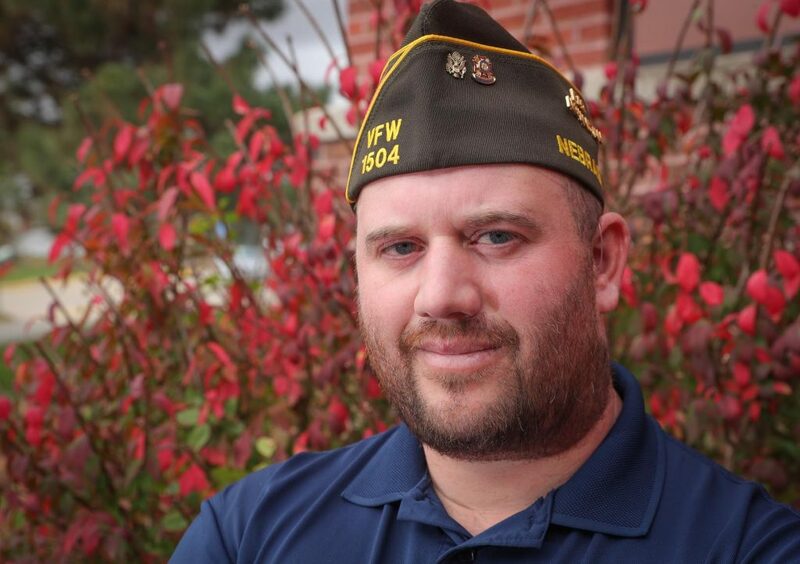 Jason Baker is a member of the American Legion, Veterans of Foreign Wars and Disabled American Veterans. In addition to those commitments, he also volunteers with the Boy Scouts of America, serving as a den leader with a local pack and unit commissioner. Both of his sons are Cub Scouts.